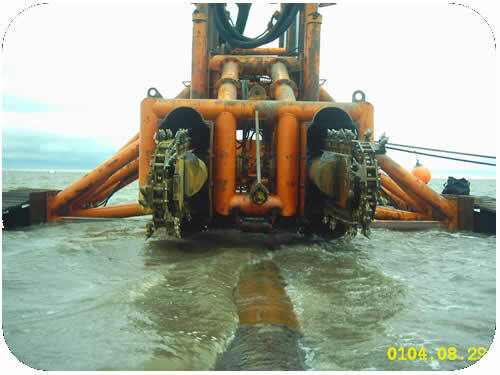 Pipeline Trenching: Subtrench One over Pipeline in Very Shallow Water. Pipeline Trenching: Subtrench One over Pipeline in Very Shallow Water. Click to go back. Return to the Subtrench One page for the Data Sheet and more Images. For further information, please feel free to call us +61 (0) 400 922 188, send us an email to marketing@subtrench.com or use our Contact Us form to send an online inquiry. We will endeavor to respond to your email or Inquiry Form submission within 24 business hours.